Visit Jade Market, where a collection of hundreds of stands selling all kinds of jade, pearls, semi-precious stones, in all forms, shapes and sizes. Asia's shopping capital, Hong Kong, is one of the best places in the world to do some market hopping, and this three hour tour will have you doing exactly that, walking your way through major shopping centers in the city and eyeing the wares. 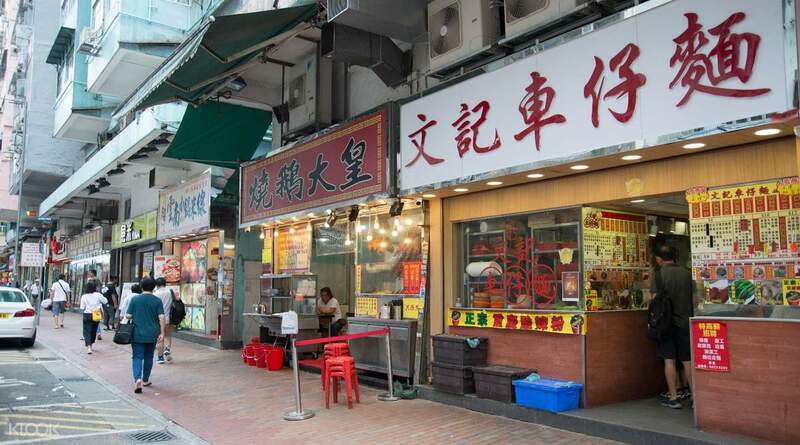 The tour begins with a meet up with your guide at the MTR Prince Edward Station, and from there, your first stop is the Fa Yuen Street Market. Also popularly known as Sneaker Street, this market is where you will find an unbelievable array of shoes and sneakers, from designer to off brand. Sports shops are also abound, so if you or any of your family members are sports afficionados, here is your chance to snag some great sporting goods at great prices. The next stop is either at thew Flower or the Goldfish Market. Should you head to the Flower Market, you'll be met with an exotic jungle of seemingly every flower in the world. 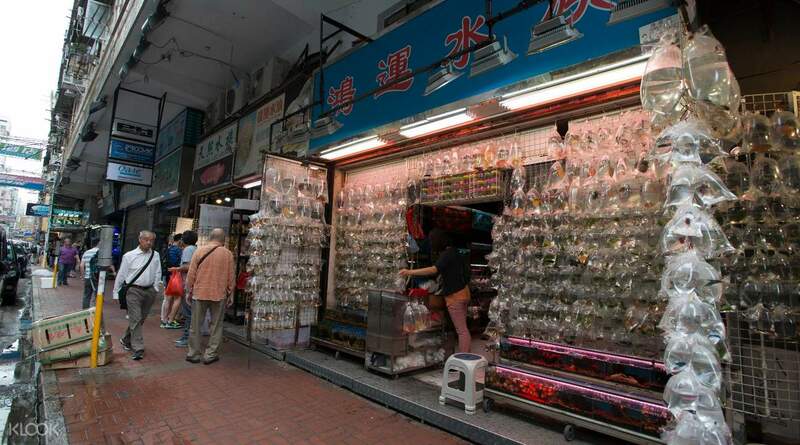 At the Goldfish Market (Tung Choi Street North) is lined with an immense array of goldfish of every specie imaginable, as they are considered as an auspicious addition to a home. 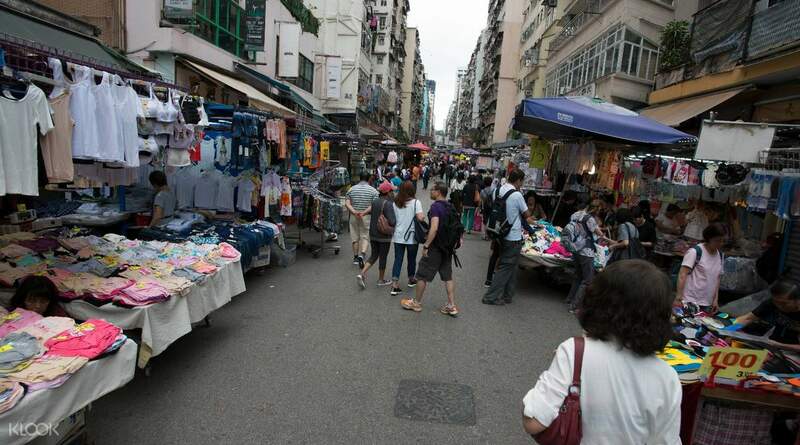 Depending on your selected package, you will visit either Jade Market or Sham Shui Po Ap Liu Street. 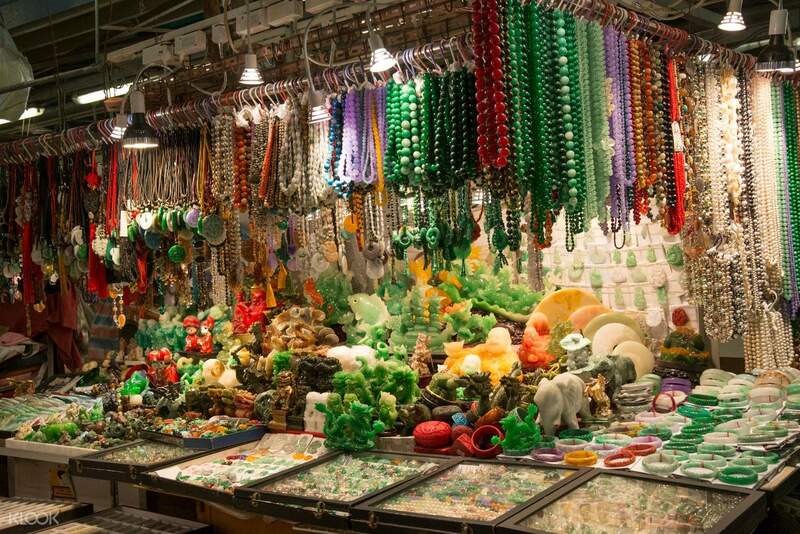 At Jade Market, the busiest jade trading center in all of Kowloon, there is a mind-blowing selection of jade artifacts, small and large, from bracelets to figurines, lining the street as far as the eye can see. Long associated with good luck and good health, picking up jade in this street is never a bad idea. In Sham Shui Po Ap Liu Street, a different sort of good fortune awaits, especially for tech heads. This street flea market is a bargain-priced paradise for electronics afficionados. From brand new to second hand, from telecommunications to audio-visual equipment, this place is a must-go for tech lovers seeking out bargain basement prices for electronic goods. 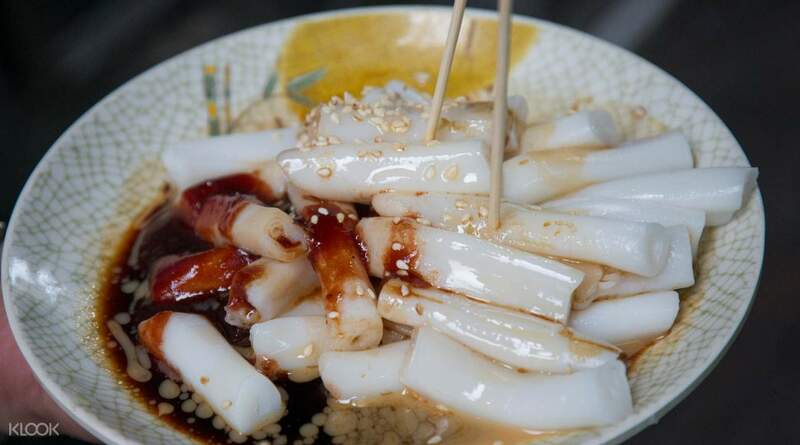 Your tour is capped off with a stop over at a local snack stall and sampling some of the street foods that Hong Kong is famous for. Enter a sporting goods paradise in Fa Yuen Street Market!